So the list of addictions is actually quite long and it is just that we - as society - have labeled 3-5 substances or behaviors in this way. Some of these addictions are or provoke more drastic changes within the body and behavior of a person and some others less but still all of them carry within themselves certain consequences for a person and then also for the whole world as a result of pyramidal chain reaction. 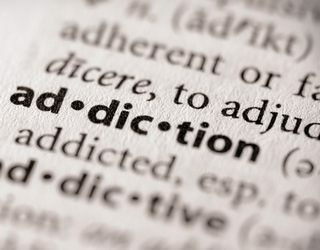 So how can you diagnose that I am addicted to something ? One of the best tests is to stop doing/taking something for 21 days and observe your reactions. If you can do it without a problem and resistance then you are free from or otherwise you are not. It doesn't really matter that other people around you ( your friends and family ) do it and accept it as normal. This is your own test and you do it only for yourself and not to prove something to somebody else. Now... let's concentrate on the point of how our system is approaching this topic and what is its effectiveness in dealing with it. Thus let's have a look at a case of a person that is heavily addicted and intoxicated ( either with alcohol or drugs or both ) and s/he has been in this state for many days. In this situation there is not really much that can be done apart from taking this person to hospital and help to detoxify the body or otherwise there is risk of death due to overload of the body with toxins etc. Apart from this the body of this person is already very weakened due to the fact that usually these people don't eat properly if anything at all and practically there is no sense of trying to take this person to the psychologist and try to talk him/her out of it. This is really an emergency and as long as this person allows you to take him/her to the hospital then do so. It is not recommended to lock this person in a room as the stress being put on the body form intoxication and bad nutrition can be too much and cause death.